Some of my favorites are coming together in this cocktail: Cats and absinthe. I'm far from the only one who sees a strong connection between the two. The brilliant poster for the endlessly fascinating Absinth Depot Berlin hangs over my chair and reminds me daily. When Nick of The Straight Up announced anise as the theme for this month's Mixology Monday - I knew that I wanted to mix with absinthe even if that falls squarely in the playing it safe bracket. 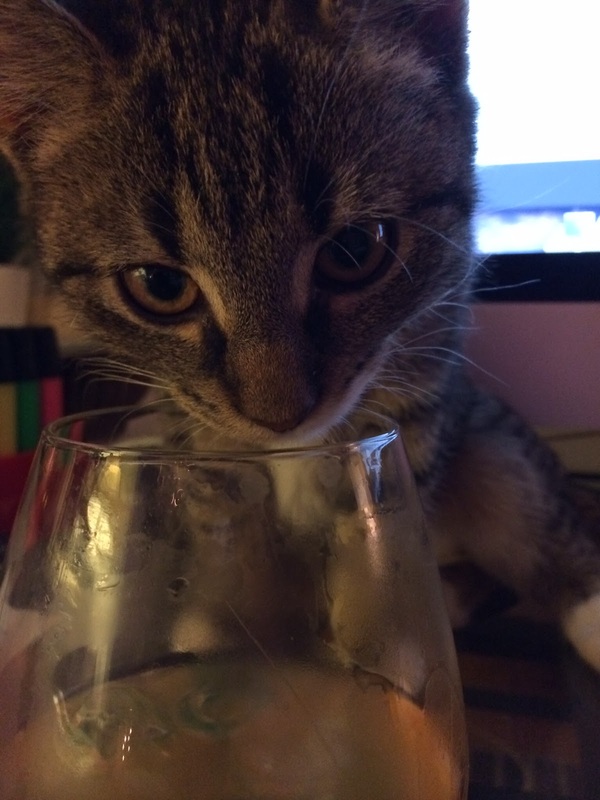 Then when a good friend of mine send me an adorable picture (your see it at the end of the post) of her new kitten sniffing her cocktail and I suggested mixing one for the little one, my faith was sealed. The kitten is named Avalon - Ava for short. Juice from one seville orange - if you can't get them, don't make the drink. Put the chunks of the seville orange in the bottom of a shaker, add the sugar and the juice and muddle. 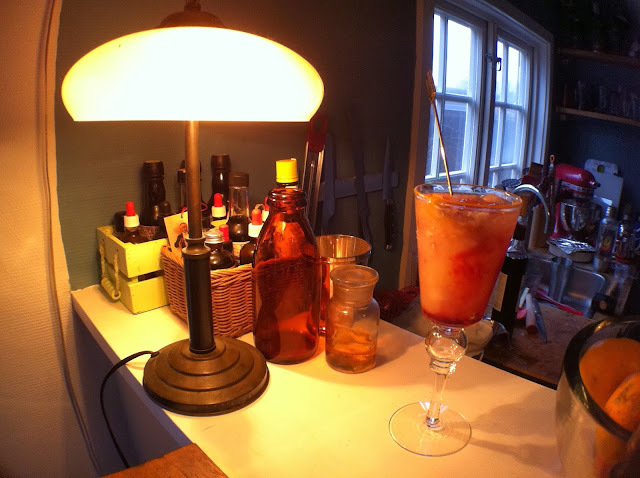 Add the absinthe and ice and shake. Fill a nice wine - or absinthe - glass with crushed ice, strain the cocktail, top with the seltzers and try to float the liqueur, mine immediately seeped into the drink.